I wanted to tell you that My husband's surprise arrived in perfect condition. I cannot believe how light the board is and am wishing it were all mine! I am so excited to see the look on his face when he comes home today. Thank you guys for all of your help Cris in choosing the right board!! 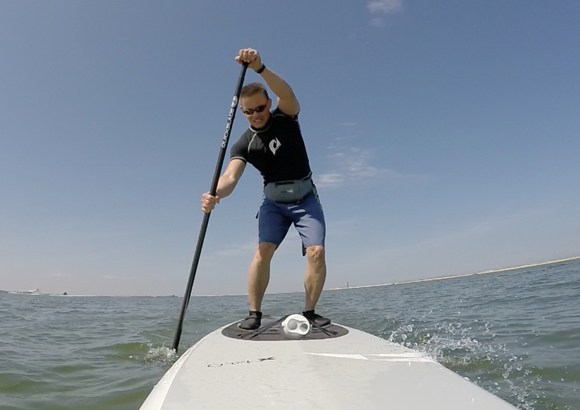 "My new NSP Ninja is the forth SUP I’ve purchased from Paddleboard Specialists in the past four years. In all cases I feel like the advice I’ve received has been excellent, with good prices and excellent customer service. Cris has always been great on follow up, and has aided my progression of wanting high end, high performance equipment. Being fairly large at 6’ 2” 195 lbs., and older at 74, makes for some interesting challenges, but each step along my progression has been very good when compounded by my living in rural Colorado and thus unable to test equipment prior to purchase. The new Ninja has amazing speed and glide, and will be a board I can continue to grow into for the future. Cris, thanks again for your help and support." I appreciate your business and how you partner with your customers. I have been in business a long time and this is the way I always want our sales team to work with customers. Thank you, again, Cris! Our family will continue to use your business for all of our SUP needs! Customer service is key here. Cris Rosario and his staff are committed to ensuring a great experience on and off the water. If you are seeking people with follow through service, this is the place. You can buy a board anywhere, but it's not the purchase that matters, It's what comes afterwards. I cannot recommend Paddleboard Specialists highly enough for their expertise and handling of customers. Keep up the great work! You are helping start a journey that was one day thought of, and the beginning of that dream is now a reality. Continue to follow the vibe and it will guide you always. My full experience with Paddleboard Specialists is extraordinary. I just wanted to take the time & thank you once again. These SIC boards are Awesome! Thank you for your great customer service. I received the board today in perfect condition ! Going to Santa Cruz tomorrow to test it. Thanks again ! I loved your newsletter discussing the bottom design of the boards and the new SIC FX. I've tried it and love it. Plus, I loved your discussion all the more. Keep it up. I gotta get on that Vapor and give it a go. All is good. This is my first inflatable and I was far short of my estimate of 10 psi. Really amazed at the stiffness of the board (Naish SupONE). Can't wait to get it out on the water. As usually you guys have been great with your support and advice. Sending everyone I know your way. I wanted to let you know that I love the new (Quickblade) V-Drive. The difference between the V-Drive and my Kialoa Insanity paddle was more dramatic than the difference between my BlkBox Uno and NRS inflatable. In the last couple weeks I've taken it Tahoe, the Mendocino Coast plus many hours on my local river. Works great in every condition so far. Thanks again for your recommendations. I am so pleased with the SIC! (X14 Pro Lite) You were absolutely correct, the narrower and lighter board has not only increased my speed but also my general enjoyment on the water. In addition, my shoulder pain has diminished. It takes less work to get the board moving and a minimal effort to keep it gliding. Big thanks again for being so accommodating when I drove up to purchase the 14' Bark Dominator AST last week. Great experience! I finally got to try it out last night. It was awesome. Tracked great, super glide...did 5 miles in under an hour with little effort. No stability issues, and it seems up to the task of carrying my big frame. Extremely pleased after one paddle. Looking forward to many more! Thanks again. Really hope I run into you guys somewhere down the road. Thanks for the great board!!! Now that's fast, faster than the time it took me to decide which boards to buy. Got to love it, thanks! My D2 arrived on Monday, two days early! I went out yesterday and flew through 6 miles! Definitely a faster board with a great glide! So fast , that the fish are concerned I might out swim them! I love the V drive paddle also, the shape allows a more vertical stroke and definitely minimizes any wobbling of the paddle. Really enjoying the performance of the UNO 14'. It has speed, tracking, easy to carry. I feel very stable on the 26.25 deck, it goes thru waves and catches waves the best of the 15 boards that I have had. Just a real all around great board. Thanks for talking me into it as I had my reservations about the width but you know your products well. Today I went 3 miles into a strong outgoing tide and light East wind then back with the wind & tide. There were wirlpools and everything was flying by, never went this fast on any SUP and heard some noise behind me, looked back and saw the wake coming off the back of the board-never experienced that before. Hello Guys, Just wanted to let you know that I received my QB Trifecta yesterday. Measured it out and it is exactly the size we had discussed. Now I need to get it out and check what the paddle can do for me. Maybe it is a magic stick that will take my paddling skills to the next level and make me go on the water more often. Thanks again for the wonderful purchase experience. Your courtesy is truly appreciated. You can be sure that the decency and consideration you and Paddleboard Specialists have shown me will be conveyed to everyone I have the opportunity to do so. Just wanted to tell you that I took the (SIC) X-14 out on its maiden voyage yesterday. Despite it being just the first outing, I can say with certainty that I LOVE IT. I was amazed at how many strokes you could take on the same side while still tracking straight! That “slippery” glide that you referred to in your video review of the board is truly mesmerizing. A passing boater even remarked "you're getting some good speed with that thing." There was light chop and a 10-12 knot breeze (see the attached frame grab), so I can only imagine what this board will do on a really flat, glassy day. Other notes: the carry/grab handle is fantastic; combined with the board’s light weight, it makes maneuvering it out of my garage and onto the car (and onto the launch site) really easy. I used the 90 sq. in. Quickblade paddle that you suggested, and found that I could paddle with a much higher cadence than I could with my older, heavier, larger-bladed one. You probably receive several reports like this on a weekly basis, from highly satisfied clients, but I wanted to thank you once again for the expert advice. The (Blk Box) Uno (14' x 26.25") is freaking AMAZING! Thanks again !! For all the help .. You and your store are the best around. Please let me know if you guys ever need a Chicago reference. Board, paddle, pump & fin arrived safe and sound - very many thanks. I’ll be trying it out on the UK’s "Heritage Coast" down in Dorset then Greece's Mani Peninsula in July which I am really, really excited about. Wanted to let you know that I received my board today and I am one happy camper. The shipping came to my home with not a mark of cut or tear. When I opened the board, it looked awesome. (Starboard All Star brushed carbon) The blue pops out and I cannot wait to put it in the water to take it for a spin. Thanks once again for bearing with me and my questions over the 3 month period. I hope I was not troubling you too much with my questions on various products that you have to offer. Wow what a wealth of knowledge you bring to this industry, and more importantly to the consumer. I thought you guys might enjoy this - I bought an Exocet WindSup 11'8 from you guys 2 years ago, and it's been a phenomenal crossover board. It's been paddled and windsurfed on multiple lakes in at least 5 different states, and it's been a blast every time. However, I thought it deserved a new look. Enjoy the new and improved WindSup, with prominent logo work from my favorite SUP shop! I just received my 11ft RRD Wassup SUP board. I freakin love it!!! I wish I ordered this board first instead of the other one I had!!! Built better, classic lines, and all around great board! You guys packaged the board great! Took me a couple minutes to unpack it, but it arrived unharmed! I want to thank you for all the advice and help you provided in my previous emails. Also to thank you for the fast, courteous service you have provided while I ordered this board! 5 stars across the board. I am highly recommending you guys to all friends and random people that ask about SUP boards! We bought a pair of these touring boards one 11 and one 12 after doing some extensive research for a good board that we could use around the lakes. Before buying, I tested a bunch or other boards. From cheap Costco brands to higher end Amundson, Bark, RRD, Imagine and JP brands. This was definitely the best I could get for the price. The board is still shaped well, vacuum bagged, well constructed, and durable. The cheaper boards felt flimsy and flex too much in the water and on chop making the ride uncomfortable and unstable. This board rides like a high end touring/race board but is just a bit slower because it’s wider which simply means, more stable. When buying a board the first thing you need to decide is if you want the displacement or planning hull. They ride different so make your selection right. We went displacement because all the planning hulls sucked for long distance in lake chop. We also wanted a board where we can take out our 2 yr old and 4 year old with us. The GT board is perfect for that. It is thick enough that they do not have to get wet if they don’t want too, plus stable enough to take the kids around without being scared that they will fall in. I’ll be using this board even in cold waters since I can tour around without getting all wet. The shape is awesome. It displaces water well and keeps up speed in the chop. Very well thought. The board feels fast and although some narrower race boards are obviously faster, the added width gives me more stability for taking the kids and it is still much faster than a planning hull shape. I am very happy with the purchase and would recommend the board to anyone looking for a high quality, well shaped board that’s stable. Plus the GT brand is simply a shop brand. Made by the same high end shaper/s and manufacturing facility. So you save on having to pay the marketing of all the well known brands. Just like shop skateboard decks that are identical to pro-models but cheaper because you’re not paying for a brand name. All in all, I highly recommended it! She's in love with the board. On the coast, in the lake - she calls it the perfect choice! The kids loved it. William is 6 and paddled the length of Middleton Beach Road in a fairly brisk wind and our 10 year old went along the shore line from Middleton Beach all the way to my parents on Highway M in rough waters on the 4th!! The board arrived yesterday, was carefully removed and thoroughly inspected. The “original” board was safely packaged and on its way. You’re a hero for the way that you’ve addressed this with us. The smile on Wendy’s face when she walked down to see the board out safely on the board was something I wish you could’ve seen. I think I’ll do my best to capture the one that she gets when she paddles the board for the first time. I’ll definitely send a report (or have her do the same!) I wish we could’ve been out last night. We’ll take some time this weekend to put a testimonial out for you anywhere we can think to put it. Thanks for a great customer experience. Chris and Wendy from Watsonville, CA. Thanks for all the help for your expertise on buying 3 boards. We are very happy on our board selection and shipping it to Texas. The board came with no damage off any kind because of how you wrapped and shipped them. Buying high performance boards isn't easy with all the boards to choose from and it was made easy dealing with Jon. I recommend this place for Buying stand up paddle boards. It was a pleasure from beginning to end using your experts. Thanks again for all your help with this order. I wanted to let you know that the board made it to Bermuda in one piece. I picked it up yesterday and took her for her maiden voyage. I would say that the Amundson is incredibly fast and stable with really good tracking and glide. Thanks again for all your help with the purchase of my new paddleboard, your website and the information you provide to me over the phone was extremely helpful in making my decision to purchase the Amundson with no regrets. 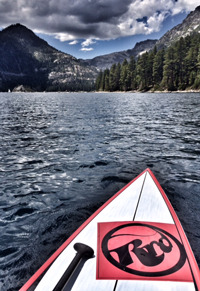 You stand true to your company name - Paddleboard Specialists. The board arrived today as scheduled. (Naish Nalu 10&apos;6.5" GS) When I unwrapped it I found it to be in perfect condition. Thank you for your help with the delivery process. It couldn't have been easier. The board is beautiful. I can't wait to get it in the water. Best wishes to you and Gary. Shelby used her paddle yesterday for the first time. (Quickblade Microfly kids paddle) Watching her on the board moving through the water on her own was such an incredible experience for me and her excitement was so fulfilling. I can’t say enough about how cool the paddle is and how much fun she had. Shelby had such a natural stroke and love of this sport I look forward to watching her growth. The Microfly is SO COOL! I called Paddleboard Specialists, in a large part because of all the reviews they publish on YouTube. Much to my surprise, Gary picked up the phone. After getting over the basics (height, weight, age, etc) we discussed my needs and wants, and what I would primarily be using the board for. 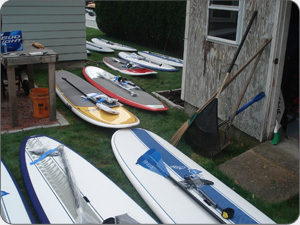 I ended up buying the Naish Glide 14' GX, and received the board on Long Island 2 work days after my purchase (!) The packaging was, hands down, the best I've ever seen. I've spent about 8 hours on the board, in a variety of conditions, and the Glide GX is perfectly suited for who I am and what I do. 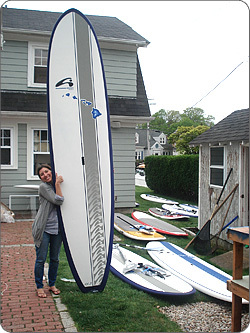 I could not be any happier about the board, and about dealing with Paddleboard Specialists. I will definitely put them at the top of my list when I am in the market for my next board. Thanks! You are the single best SUP source of information and service in the industry. All the best. I wanted to take a minute to thank you and your staff for a great experience buying our new Naish One 12’6”. I have been looking for a new inflatable for my wife for a bit and first talked with Cris on the phone. He was super helpful and very knowledgeable. My second experience was with you also on the phone the morning we came to see you. Again, you were very helpful in solidifying our thoughts on which board to purchase. Lastly when we arrived we were helped by Patrick who finished the sale with us. He helped us chose a paddle and cut and fit it for us. Thank you very much again. You have a great staff and I was truly impressed with the service which we received. We will be back to purchase a new paddle for myself. I have been telling everyone about the experience we had so hopefully they will start heading your way soon! I was able to get out on my new paddle board (RRD Arrow 12’6” LTD) twice in the past week and love it! As you promised, both the board and paddle are incredibly light. The paddle is remarkable (Quickblade Flyweight all carbon) - absolutely no fatigue in my arms after an hour of paddling. The board glides and tracks so much better than the equipment I have been on previously. Thanks for all your help. The board is beautiful as well as quick, and just as promised. If I can get to Madison this summer, I will definitely take you up on your offer to join you for a paddle session. Well I got to spend some time on the Uno this past weekend & all i can say is wow!. This board is so stable! I started my paddle directly into a head wind of about 15 knots for about 2.25 miles followed by a nice little downwind back. Then paddled east with a cross chop at my 5:00 for a couple of miles & then into Richmond Creek for about a mile of mostly flat water. What really got me was the way back , I had the wind with gusts now up to 20 knots & a 1.5 ft chop at my 11:00. I took my time having to paddle with the waves at my side because I would not make good headway directly into the wind. I was able to balance & control this board standing the whole time. My feet never felt like they had to bite into the board for stability , I felt as one with the board. I love my new Quick Blade Microfly Adjustable Paddle! My stroke is smoother than when I used an adult size blade and it is more compatible with my size. This paddle is great for anyone my age! Thanks for your expert help!!!! Thanks so much for improving things for me. I am having all kinds of fun with my Astro inflatable 12.6 touring board. 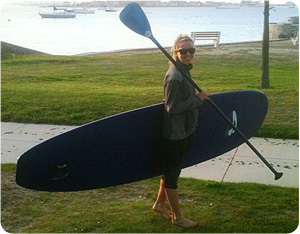 It is the perfect travel board for my wife and I. I am also in love with the Naish 3pc adjustable paddle, great blade. Once again your advice and service was spot on. Just got the new pump and it worked perfectly. In fact it was really easy to get the board pumped up to 18psi. Thanks so much for improving things for me. I am having all kinds of fun with my Astro inflatable 12.6 touring board. It is the perfect travel board for my wife and I. I am also in love with the Naish adjustable paddle, great blade. Once again your advice and service was spot on. Hey Guys, Got my 11'10 Source. Beautiful board. Can't wait to get the dogs trained for a paddle. I did want to compliment you guys on the packing of the boards. Very well done!! The shipper did a good job also. Not a single tear or hole in the box. Got both boards today! Thanks for the follow up and gotta say, great packing. Love the double box for added protection. Can't wait to get my board wet. A big thanks to Paddleboard Specialists for making this happen. Best SUP customer service in the U.S. hands down. You rock!!!!. Just picked up the ace and it was lighter than my board, even with all the cardboard and packaging! Thanks again. You have a customer for life now! Thanks again for your help with choosing and sending my QB flyweight paddle last season, as you predicted it's really changed my paddling. The boards are amazing!!! (RRD inflatable Air Cruiser) Thanks for the help! 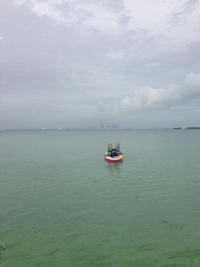 8 miles into our paddle today, stopped just outside of Bill Braggs St Park, Key Biscayne, Fl. I just wanted to thank you again for all your help with my order. I can honestly say I have never had such a great purchasing experience and I thank you for that. I cannot wait to get the board (SIC X 14 SCC) and hope I love it. I will gladly recommend your business and do so on your site and all public social networks which will help as I do that for a living. Just wanted you to know I LOOOOVVVEE!! my new SIC board..... wow it is fast and so nice to paddle. I am so happy with it. I shall send you a photo. I must confess that I had some serious misgivings about selling the last board I bought from you (that I loved) in order to purchase your Blk Box demo (14 x 26.5”) but I was so tempted by your video review, our phone conversation and the price that I rolled the dice. I have been up for three nights in a row with a neck / shoulder injury, am exhausted and to top it off it is a cold, windy day here in Nashville. Not the sort of circumstances that saw me confident to try out a new board that is 1.5 " narrower than my previous board but it took about four strokes to determine that I did the right thing, what a wonderful board! The board feels super lively, not tippy but lively like it is a part of you, it lays on rail beautifully, is silent in flat water (feels like you are floating an inch above the water), the tail release is perfect, the cockpit is roomy and perfectly laid out, it is super fast with great glide… in other words, I absolutely love it! This is the third board I have purchased from you and you have always been spot-on with your advice. I think I was so shocked that I never thanked you properly so thank you very much! You and your staff are first rate folks to deal with and I really appreciate you guys. Hey, wanted to let you know I am totally stoked on my X-14! I’m real happy with the purchase, thanks for the great service and advice. Thank you, thank you, thank you for all of your help and service. Everything was received last Friday and in good condition. Hauled it all to the boat this weekend and had a blast! Both of us took to the SUP immediately and enjoyed the tranquility of creeks near our anchorage; much easier to sneak up on the wildlife without a noisy dinghy outboard. BTW - all the equipment you suggested is spot-on! The board just arrived, WOW that was fast delivery to NJ! Just in time for the long weekend. Thanks again for your help in choosing the board and the paddle. Great prices, good advice and fast shipping, I know why you have been in business since 1984, great job. I will refer your shop to my friends. Thank you so much, Chris, for recommending the Amundson TRX-14, and to Gary, for recommending the Epic board bag. The board arrived within days and had bombproof packaging. I LOVE THE TRX-14! It glides and tracks really well, is super-stiff, and handled the large power boat wakes I encountered yesterday with ease. I loved how the deck shed water so easily and the nose either sliced through or glided over those wakes. Since I've had, unfortunately, windless days lately, I kept seeking out those wakes because the board was so confidence-inspiring. A 10-mile paddle went by very quickly! I can't wait for some windy days on the lake to ride those swells, and also the opportunity to get it out on the bay or ocean. The board is light enough for me to easily load it on my roof rack without assistance. Your friendliness and customer service are second to none. I will make sure to turn to you for all my future paddling needs. Got the board today, (3 days ahead of schedule and in perfect condition). Got it on the water of Lake Tahoe immediately and it was better than advertised. My Thanks to everyone at Paddleboard Specialists. Hey Guys, I just wanted to take a second to let you know how pleased I am after having purchased my Starboard Astro 14' SUP from you. First, you shipped it about five days faster than I would have expected. I was really hoping I would be able to take my new toy on a trip the following week and it came so fast I was able to take it for a test ride locally and get up to speed. Second, I had an issue with the fin that came with the board being too short and the pump and/or gauge not being consistent with 18 psi and Chris handled my request with the supplier and a new fin and pump are on their way! Excellent service and excellent product. I couldn't be more happy and I want to thank you for taking such good care of me. I would expect nothing less from Wisconsin people! Thank you again. Talk to you when I buy my next board(s). I wanted to get back to you regarding my recent board purchase. (SIC X-14) The delivery worked great. Board was in great shape. I have been out on it 3 times now and love it. It tracks and glides great. Supper stable, I forget I am on a board and it allows me to settle into a great rhythm and work on my stroke technique. I think this tracking and stability is perfect for me. I love the Quick Blade that you suggested and I am very pleased that we went with the added flex. Thanks so much for your help and execution on this. I am going away for a week at the end of August and I will be paddling every day on my board on some secluded northern lakes and rivers I can’t wait. I wanted to put the BlkBox through the paces before I responded and now it's official: I'm super stoked! Looks great, slides through the water, and is stable in conditions that would have pitched me off my Waterman. And the board flies: I raced it three times last week and took 2nd place overall in each event with a PR by a substantial margin on each course. The board turned heads and garnered a huge of interest; I wouldn't be surprised if you start seeing more MN orders down the line. I mentioned when we spoke the other day that I took my wife and son down to Florida this weekend. I wound up going to both the Bote and YOLO shops. Both shops were very nice and I saw a lot of beautiful standup paddle boards. However, I believe in honoring the people who service you best, and that is you. They were not really prepared to offer the same level of customer service that I found in dealing with you. As a result, I only want to deal with you on the purchase of a paddleboard or hopefully two. I just wanted to write to Thank you for the quick shipping of the Naish Inflatable Stand up Paddle Board I ordered. I placed the order on July 3, I was uncertain on the "free Shipping" as to when I would receive the board. I was willing to pay extra to expedite the order. The board was shipped on July 5 & got it the following Thursday Just in time for the weekend, Awesome! I got a lot of comments on the board, it was gliding through the choppy South Lake Union waters full of boaters. The Naish SUP has bypassed my expectations! Thank you again and have fun! Picked up my set up last week and can't get enough of SUP. Thanks for offering such a great selection of products and for excellent service. I just came back from an evening sunset/moonlight paddle on the inside of the Little Sound and Buck Island with the whistling frogs echoing across the water. The board slips through silently on a gentle cruise and all the sounds are uninterrupted. You advised the perfect choice. The stronger tuff lite material was a must for me as I launch off of the rocks, it is really really stable and I can play with my positioning with ease but it obviously is built on that racing style that allows you to push hard when you want and get home fast or just have the satisfaction of some speed. All in all thanks for the time you took to advise me until I had settled on the right one and then to patiently keep it to yourself that my wife had contacted you. Hi,I just wanted to let you know the paddle boards are perfect. I know I am not supposed to look at the board when I paddle but it was nice to hang out on such a beautiful board yesterday. They are also completely manageable for us and our teenagers but I love the speed compared to the other boards I have tried. I am super impressed with the board. I christened it with a 21km paddle this morning on our Swan River and the board was everything I could have hoped for, plus more. I've been river surfing all winter on the Potomac and this new Quickblade Flyweight is great. I think the key to the perfect river surfing specific paddle is a small blade and 3-4" shorter than a touring paddle. I've noticed with my larger paddle blades, it's hard to achieve the cadence needed to fight through boils to get into the wave. This smaller blade is perfect. The eagle has landed today. I think our customs and border control incarcerated my board at something like a SUP board detention centre suspecting some kind of illicit contraband importation scheme and I'm afraid the board may have even undergone a body cavity search and x ray… :) So, thanks for the help - I'm stoked and cant wait to get it on water on Saturday. Everything arrived today, and it all made it in good shape. That was some packaging for the boards! Once I finally got the boards unpackaged, I placed them in the SUP bags, and they fit like a glove. Thank you for your assistance in selecting the equipment, and for the safe delivery. OMG what a difference a new board makes! I am completely impressed (blown away) with this board. (Jamie Mitchell Navigator 14’ Pro Elite) and this FCS bag is everything I imagined a board bag should be. Beyond my expectations on both products. Thanks again for all the hassle, and sticking up for your customers. I want to say thanks again for your continued help. I have been to a lot of SUP stores in SoCal and the one we have in Austin and have never received this level of service or expertise! Just to let you know that I got my new board today. It took some time, but it's exactly what I wanted!! Model, color and size. Thank you very, very much for all your efforts to get my dream board!!! I know it wasn't easy. You guys are The Best!! There are no words to describe your professionalism, passion and desire to meet your customers desires! Aloha Gary, I wanted to thank you again for your sage advice in paddle selection. Very fun to have your experienced help! I just got back from the Worlds in Cabo and am really excited. Elizabeth, my wife Julie and I had a great time and met some awesome people. I did manage to win the Over 50 group in the course race which was a tough grind in 15-18 knots of wind, 5, .75 mile laps. Our group was pretty big and had some good guys so I was very happy with the result. I used the new Quickblade paddle (tapered oval shaft Elite Race) which I think was a big advantage in the tough upwind conditions. I cannot imagine that I will ever get another chance to win something like this and I just wanted to let you know how much we have appreciated your enthusiasm, support and advice over the last couple of years to make a day dream actually come true. My paddleboard arrived this morning just as the shippers had promised by phone yesterday! Packing was excellent and everything arrived in perfect, and beautiful, shape. This entire transaction turned out very well. This board is gorgeous. I just picked up my Dominator. It was beautifully packaged and arrived without a scratch. You probably do not remember but over that past couple of years you have discussed boards with me on several occasions. You have always been very patient and gracious in your responses and your knowledge of the product surpasses that of the competition. I am in an industry that is rife with sales folk when in my opinion it should be rife with caring professionals who take pride in providing superior knowledge and service. I feel that if your head and heart are in the right place you will never have to "close a sale" to have tons of clients. I get the impression that you approach your business the same way and I really appreciate the wonderful service you have provided and am extremely stoked to have finally purchased a board from you. Thanks again for your recommendation! The Amundson TR-X2 is an awesome board, and I was very impressed with its glide on the smooth water I had today. Tell Chris thanks for his help talking me through the board – it is exactly what I was looking for. (Amundson TRX 14') In addition, his soap solution rail tape video made installation a breeze. Delivery was perfect – the driver waited around and helped me unbox it to check for damage – no issues at all. Thanks again. We received the paddleboards in perfect condition. We had a wonderful first weekend out on the boards and look forward to many many more! Thank you so much for all the time and effort you put into our order, it is truly appreciated. You were so accommodating and helpful. A++ customer service. My wife is really excited. You were very helpful in the process and I really appreciate the time you took to help me figure out exactly which board was the right one. You're video reviews have been tremendously helpful and it's great to do business with you. Wow!!!! What an experience. Thank you so so much for taking the time and going paddling with me. You gave me tips that I would never have received from anyone. You have made my experience so incredible in this sport from the day I purchased my board from you. Again, thanks. The 12'6" Laird Bark is awesome! By far the best board I have ever been on!! Not only does it feel good, the proof is on the GPS. I love the Raven. I really appreciate the time you took with me. It was a great way to go. The paddle is GREAT! (Quickblade Elite SSI 38) So much lighter and efficient! I feel I can go twice as long. 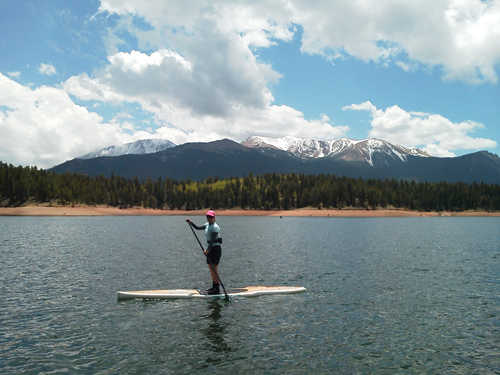 Thanks again for your amazing customer service and help in getting our paddle boards out here. We had our first Colorado paddle since leaving Florida earlier this week and just loved being back on water, and love the Tahoe boards. For the record, your product knowledge, pricing, and customer service are exceptional. It started with Dirk answering my after hours call. Even though his expertise was in sailboards, he went above and beyond to help me. In completing my order, you had just the right advice for me (the right rail tape). Your detail with the shipping aspect was far above "normal" customer care. At the end of the day, I knew that if things weren't right, you would make them right, in spite of us being 2,000 miles apart. To be honest, I wish your shop was located here in Seattle. How awesome! Thanks so much for your help and advice - I endorse you everywhere people ask. (or don't) You do business well and you're nice, too! I am loving the Hobie Elite 12'6" I bought from you! What a perfect match for me! Just to let you know that the new Quickblade Kanaha AC is fantastic, the 90 feels great to me and your advice has been extremely useful. Excellent service from you guys! I went for a good long paddle with the new Grand Prix over the weekend. Super paddle. Great blade design, really light, and just enough flex to ease the pressure on the joints but not lose any of the power in the stroke. The Starboard made it to Incline Village. What a packing job! It was untouched. Thanks for your continued advice, help and support. It really has been great to rely on someone in the biz with an unbiased approach. Just wanted to let you know I got my new Quickblade paddle and it is PERFECT! I love it. Just received my 14ft Bark Laird today! Looks awesome and thank you for double boxing the board! Can't wait to take it out. Great experience working with the guys from Paddleboard Specialists. You’re the best! I had no problem paying due to the fact you are not just pushing merchandise but giving expert advice. I chose to purchase from you because you responded so well to all my questions. You will be seeing more from me. My board arrived yesterday without a scratch-I went for a sunrise paddle this morning for its maiden voyage and was elated with the stability and glide. Please thank Gary and all at Paddleboard Specialists for the great service and knowledge. I received my board yesterday, it's beautiful. I'm excited to get out on it this weekend if it doesn't snow. Thanks again for you help in getting the right board. Thanks for getting my order out the door so fast. I really appreciate how you guys have taken care of me both with this order and the one before. Can’t wait to get on the water!! Many thanks for your help as always. I have referred some colleagues here to your website for Starboard and Hobie sup's. I'm excited! Thanks! Its been really easy to deal with you folks. In the surfing world it seems to take manufacturers and retailers weeks to respond. You're on it within minutes. I wanted to commend you and your store on the order I recently placed with you, for my Werner Fuse bent-shaft paddle. The price was great, it arrived here quickly, in perfect condition – and it’s awesome. Keith from San Juan Capistrano, CA. Thank you for all your help as well as clearing up the confusion. You epitomize customer service...I WILL be a return customer! Wow, that was fast! Thanks very much. The part fits perfectly! Just paddled about 1/2 of the Battle of the Paddle distance race course. Wow, what a great board! (Bark Dominator) I averaged 0.7 mph faster than my surfboard and my heart rate was down 10 bpm. The board is way more stable than I imagined especially since it is narrower than the other 14 ft. Barks that I have paddled. The thing that amazes me the most is that it is way easier to paddle as indicated by my heart rate. Thanks again, it has been a pleasure dealing witbh you and I hope I get to meet you sometime. Even though I paddle at Dana Point with some of the great paddlers and get to try out almost everything, I still enjoy listening to your comments. Thanks again! I wanted to thank you for all of the help on the phone last week. I got the paddle yesterday and it is a beauty. (Quickblade Flyweight) You are right, it is amazingly light. I can't wait to try it. Jan from St Claire Shores, MI. I just wanted to let you know my paddleboard (Bark Competitor) arrived Tuesday evening and it is beautiful. I’m glad you added the tape. Love the paddle also. (Quickblade Flyweight) Thanks for the perfect packaging job! The AIT Truck drivers were wonderful. Not only did they stay but also helped me unpack the board and paddle. I wanted to let you know that I've been out on the board (2012 Hobie 12'6" E-Series) 3 times since Friday and the board is amazing. Great balance and glides well. You feel like you have something underneath you when you are paddling unlike the 404 which seems like you're not connected to the water. The board is beautiful and a joy to own. Thanks for helping me out with this. I got a chance to try the paddle (Quickblade Kanaha 3pc adjustable) this weekend back home in Barcelona, both in the waves and just cruising: I love it!!! It is so light and I love the EVA handle! Haven't gotten the chance to thank you for all of your help. The Hobie Elite 14' bamboo is perfect. The whole process from order to delivery couldn't have gone any smoother. Thanks again, Love the board. You guys are 3 for 3. Laird arrived today undamaged. Monster traction drying on nose & if waves last till tomorrow I'll be riding it in ocean by Jupiter Inlet Florida. Thank you again for all of your personal attention in this matter and your herculean effort to get these (2012 Hobie Elite 14') to us for the event this weekend. We just want to say thank you very much. We have received the paddle. It is perfect. We have to tell you that your customer service is the best one of all. This is true. Bloody efficient!!! Thank you so much, I will refer to friends! 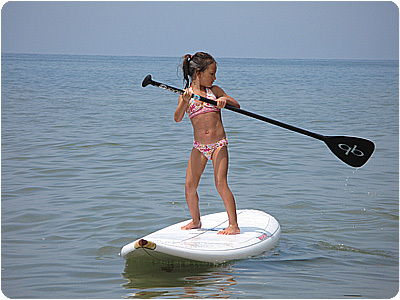 Thanks again for all of your help in selecting a paddleboard. I've taken it out on the flat water about a dozen times and into the surf 5 or 6 times. I've had a blast with both. The 11' NSP seems like a good all around fit for me and my present needs. I'm sorry for not telling you earlier but the QB Kanaha you sent me is marvellous! Light and very easy to handle! Thanks again for all your help, you guys are great to deal with!!! So, again, thanks so much. I cannot believe that this took less than a week to go from initially talking with you and getting your great advice about choices, and then having the boards sitting here in my home. 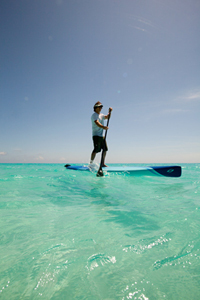 We did our homework online and glad that paddleboard specialists made it to the top of our list. Next time, and there will be one given my daughters reaction, we will contact you right off the bat. Jon from Ann Arbor, Mi. Thank you, thank you, thank you!!! The board arrived in perfect condition and I had it out for the first time today. A kid in a candy store is the only description that I can use. I promise to recommend you to everyone I talk SUP to!!! Attached is a pic of the board having an afternoon "Dog Paddle," so named because it's off the Chicago's Dog Beach on Lake MI. It's been great for the (literal) dawn patrols, as well. I've had plenty of people ask where to get one and I always tell them about your place. Thanks, again! Hi. It's Jonathan from Texas. I just want to thank you for everything. I love my new paddle. My wife loves her new board and paddle. I will be purchasing a board and will call u soon. Thanks again. 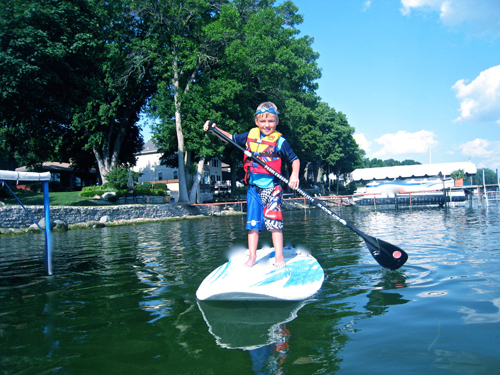 Here's my youngest SUP student ever (grandson Ben - age 6 1/2) he was even holding the paddle with all of your logo showing - good guy! He really got going in the first minute - and loved it! It was fun for him to see Tony (paddleboard specialists shipping manager) out with us on our second session - and we're headed out again this morning! My board was just delivered. It was in perfect shape and excellent job on the packing. However, the heat index is 116 degrees today and I was soaked after unpacking the board. Well worth it! I am going to have to take off Friday morning so I can beat the heat and get it out on the lake. Can’t wait!!! Very satisfied customer, beyond my expectations, thanks for your service, top notch. After pestering you for a week or two (before I purchased a board) I thought it only fitting to send you a great big THANK YOU! My board arrived to NC just fine. I've had a great week on it and want to let you know how much I appreciate your awesome customer care. Now to just keep the Carolina clay off that beautiful white deck pad. :) I hope you enjoy the rest of your summer! Thanks for your help, insight and advice on boards, products, paddling technique etc.!!! Also wanted to thank you for providing the gift certificate, sweatshirt and buying a raffle ticket for our event for the ny city paddle! Here is a photo of our team, Poseidon's Pirates. Several of these boards were purchased from your fine establishment. I am holding the Bark, Denny has the Hobie, his wife Claire has the Tahoe. Quite the motley looking crew of pirates! When you guys need your Paddle Tattoos, come to NJ, I'll do a proper job!! You Folks Rock!! Super-fast delivery and awesome customer service. You folks are truly one of the best! I appreciate all your assistance. Took my new baby, Amundson TR 11"4' out for her first glide and I cannot be any happier. My new QB Flyweight paddle (arrived customized to my height ~ thank you) is perfect as well. I'm very glad to have listened to your expert advice in choosing my very first SUP board and paddle. You have exceeded my expectations. Thanks for all of your help and rocking customer service- feels special to work with you and more and more that is a rare thing in retail. Big thanks. My bag arrived today and it's great, the board is now safely snuggled inside. Fins arrived too. Very impressed by your quick service. You and your company are very efficient to deal with, so I will be back. I wanted to thank you and your family for a great day. (at the Midwest Stand Up Paddle Festival) It was such a great learning experience for me. Not only had I been waiting a long time for a race to come to the midwest, but I got to hang out with great people and I learned so much! It is such a great community that you put together. I just wanted to thank you again for teaching me how to paddleboard this morning. You were wonderful on camera and you have a real gift for teaching people and making them feel calm and relaxed. I wish you many blessings on your business, both this weekend and in the future. Please email me the information about your next event to benefit the Zoo. We'll see what we can do to help you promote it! Thanks again for taking the time to let me demo that board and buy it Thursday evening. (Surftech Bark Dominator) I had it out on a downwinder last night. Wow. I'd get on a wave, and the nose would porpoise under the water, but my speed would just increase, and stability is rock solid. A really sweet feeling. All around, it's quite a speed machine, and rock solid stable, even in sidewaves. I never even fell off until I got back and was practicing buoy turns. I'm gonna sell you a few of these to my friends so I have buddies to paddle with! We always sing the praises of your business for the excellent customer service you give. You ought to open a shop in Traverse City, Michigan- it would be a huge hit! Everything made it here. Fast and safe. Thanks for all the help again. As always your advice and willingness to help are genuine and are second to none with anyone I have done business with for anything. Keep on spreading the word. I'm loving the board!! (Hobie 14' Elite) I paddled it yesterday in the ocean for several miles. When you step to the back of the pad the board handles all conditions extremely well. I pushed thru a sloppy inlet with large boat wake and then went down coast with the wind. It surfed bumps well, but working your feet forward and back is the key!! I then surfed the board to see how it would feel on a down winder with bigger swell. I'll have to spray some traction on the back, but believe it or not I caught some great waves. It trimmed well on three foot peelers. I've been surfing 25 years, so the fact that I had so much fun on it in the ocean first time out is a testament to the design of the board. I finally had the opportunity to paddle the 3pc Fuse that I bought from you guys. It’s a fantastic paddle. I definitely like it better than the Spanker just for the joint ease alone. Thanks again for providing guidance. Today my Quickblade Kanaha arrived safe and sound. It is beautiful!!!! Thanks for all the help you gave me in search for the right thing. The handle very cool too. Is that the EVA grip? Feels like suede. Brilliant! Many thanks and take care. I'll be back! You guys are great. Already got my paddle. It's awesome. Will definitely be back as a customer. Thank you for sharing your Saturday morning with me and teaching me to SUP! Your instruction is precise, easy to connect with and your love of the sport shines through. Thank you for the great customer service and fast shipping. When you said my board should be here in around 2 days, I didn't think I had heard you right, but it was in my hands 2 days after it shipped. I had my new Bark Dominator out every day over the long weekend. I can't say enough good things, it’s a great board…I'm very happy with the choices I made (with your guidance) regarding the board and the paddle…it’s a fantastic combination that works even better than I had hoped. I'm looking forward to a long summer on the water. Thanks again for all your help in selecting the board etc, I couldn't be happier. Thank you for the great feedback. I really enjoy your videos and they really help me see more of the whole picture when developing. Thanks for the quick response.Thanks as always for everything!! I know we’re in good hands when we deal with you. I just returned from DB Schenker (yea it's late. I couldn't wait). 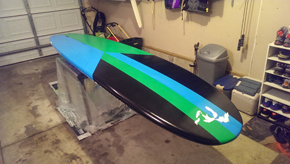 The board (Tahoe SUP Zephyr 12'6") looks awesome! Great pack job. I can't wait to get out on it tomorrow. I missed your call today as I was out paddling the Bark Dominator 14' on the river while it was raining. I couldn't help myself, I was like a kid on xmas morning with a new toy. I must say that this board is amazing! It is like letting an arrow fly! It is a demon on the flat water, cutting through like a samurai sword, this is where it shines. then, I took it out into the ocean, through a choppy, tight inlet, it handled the chop and swells without a problem. Any time a swell buried or engulfed the bow, it quickly righted itself, bow popping right up and out of the water. Never did I feel it would pearl or bury itself. This is extremely light for a 14 foot board and while I thought it might wobble due to the shorter width than i am used to, it felt extremely stable in all conditions, even when a few sideways swells and boat wakes hitting me broadside. You guys are the best! Love my Tahoe Zephyr.....been cruising around Lake Wingra with it....thank you for steering me in the right direction...will always recommend your shop to anyone looking to purchase or need all their SUP questions answered. Your expertise in all things SUP is appreciated....see you on the water. I just want you to know that it's a pleasure doing business with respectable people such as yourself. Good customer service has been lost over the last few years and it's nice to know that there are some decent people still out there. I would recommend you to anyone who is looking for the products that you sell. Took my new Bark 12'6" for a ride tonight not great conditions, wind out of the west tide going out of the east, rode north and south in the side chop. Not great condirtions but I liked the board, stable & tracks very straight. Thanks again for everything! I wore the wetsuit gear today to try it out. The water was really cold but I didn't notice at all. Awesome! My wife will be giving you a call this week to talk about wetsuits. Just a quick note to let you know the new board arrived yesterday. Everything was perfect. I’m looking forward to getting out on the water with it. You have been great to work with and as soon as my wife decides on what kind of board she wants, I’ll be in touch! Thanks again. I wouldn’t think of going anywhere else then to you for all our SUP needs! I received the board and paddle today, many thanks. I am very happy with it and it arrived in one piece with no damage. Nice packaging job! Many thanks for all your help and advice it is much appreciated. Thank you for such incredible, personal service! I really appreciate your assistance in helping me pick out my gear. 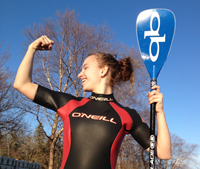 I'm really excited to start paddling and have been looking forward to this for some time. Now all I need is some good weather. Thank you again for all of you help when we stopped by the other day. I deal with over 150 boardsport/outdoor/ski/snow retailers for my business and I have to say the customer service you and your employees provided to us was outstanding. It was very refreshing meeting someone who obviously has deep passion for what they sell!! Gary, Thanks for the sup lesson yesterday. I had a great time and you are a PATIENT teacher. I picked up the Hobie (11'2" ATR) last night and everything looks great. Can't wait to get on it. Thanks for your help. Snuck an hour in yesterday mid-day. Was awesome. The board (Surftech Bark Dominator) tracks unbelievably and the glide is amazing. I am in poor form and flying. I just wanted to let you know that we've already had the boards out this season. Didn't take long after the ice melted! Still love 'em just as much as last year. (we have the Tahoe Zephyr and Bliss) Thought I'd let you know, if you decide to paddle in the cherokee marsh by you guys I would avoid the channel on the east side of the marsh. Thought I would explore some today, then heard a "whoosh whoosh whoosh" and turned to see a pissed off goose about 10 feet behind me and closing fast. After about 6 attacks all within paddle distance and some splashing and yelling from both parties I made it out only a little wet. Thanks for the help in making the adventure!!!! It (Bark Competitor) is awesome! I didn't get out on the water until 7:00 tonight, but I did get about an hour of paddling in. I love it! I've had the chance to try out the "Dominator" several times now; Just gotta say, WOW! What a fast machine it is. It is quite the experience to ride, extremely smooth and very fast to say the least. It has really been an overload to the senses, trying out the the Quickblade paddle and the board at the same time. I've been up at the local lake 3 evenings a week riding it, it feels better every time I get on it. The girlfriend has been trying it out as well and loving it; I have a feeling she might have to get her own! She is starting to like mine too much. Fins showed up today....thanks for all your support. Now I know where I will look first for paddleboard needs. Super! Sign me up and thanks for your efforts to find these! Thanks so much for the feedback....you have outstanding customer service. I just saw the Hobie on your website today. I truly appreciate your time and feedback.... every time I go paddle I have a huge smile on MY face...thanks to your help. You've got a great company and we really have appreciated our experience with you. The packaging job on the board was outstanding – made us really feel like you cared about doing things right! My brother-in-law and I want to thank you for your amazing service and for keeping us up to date on the progress of our boards. Thank you very much have really enjoyed doing business with you and look forward to doing more with you in the future. Thanks for all the info! You're right, it took me several days of reading and going over the information you gave me before I could get back to you. Lots of details to consider to say the least. Thanks again for all the help ! You guys make it much easier. I took my lovely new Birthday present out this afternoon (Bark Competitor 12'6" Elite) for a 3 1/2 mile paddle. Against a 5-10 mph wind on the way out, but with it coming back in. You were right about the glide of the Bark 12'6"...it is sooo smooth. Buttery indeed. The thing that I was even more impressed with was the stability! It was fairly calm out there, and she tracked like a champ with multiple strokes per side without feeling the least bit wobbly. Man, it felt so comfortable with the QB paddle setup...the height is perfectly comfortable, and lighter than anything I've used. I am incredibly satisfied with your recommended setup and want to thank you again for sharing you professional opinions and feedback. To that end, I'm checking on another 31" wide Free Race. I will be looking to buy another one in the next few months for my summer home. Hope all is well, although cold up your way. Many thanks Gary. You were very helpful. Will reach out To you when I am ready for another Board. The board and paddle arrived! The Hobie paddle is considerably lighter than the adjustable my wife and I have been sharing. Thanks for the upgrade, it's very much appreciated. The 12' Glide is a sharp looking board...pictures don't do justice to how finished the board actually looks. Should be able to get out for the maiden voyage tomorrow afternoon. Thanks for everything! Just unpacked the Pearson Arrow Laird & Naish Glide. Thank you for great customer service in every way. Fast shipping & sturdy packing. Will spread the word on Long Island & Florida about you guys. I raced over to pick up my new Bark but by then it was dark. I took her home and bonded by putting a nice coat of wax on her before going to bed. I got up bright and early at 5 am, loaded her up and headed to nearby Lake Jordan for her maiden voyage. It was a crisp 45 degrees. The moment I set both feet on her and took my first stroke I knew I was in love. She is the finest flat water board I have ever paddled. Thank you for hooking me up. Thanks for your reply - on a Sunday afternoon, no less! Thanx alot for your excellent service and attention. I picked up the Werner and Quickblade paddles on Thursday. Everything arrived on time and in fine condition. Thanks for your great service. I had the best day of paddling I have ever had today. The weather was perfect 82 degrees and little or no wind, clear water. Was both in the flat water of Dana Point harbor for 6 miles, and made it a mile out into the open ocean, a first for me. This new board performed and felt better then any board I've ridden. 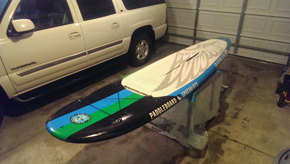 (Starboard Free Race 12'6" x 31") I absolutely love it and can see it will take my paddling to the next level. Finally got out on the board today in warm but windy/choppy conditions. It was as stable and smooth as I was hoping/expecting in not ideal conditions. Got a feeling this will be a great board, several people checked it out and I will be letting a few of them try over the next few days, and of course, pointing them to you should they want to get one. Thanx again, you have a very happy customer. Attached is a photo taken on the maiden voyage of my new Starboard Blend TAC amongst the houseboats on Lake Union in Seattle. Accompanying me is Stella, a Shiba Inu, who despite her dislike of water (and puddles, rain, etc.) is seen enjoying our day together. I’m determined to transform her into a little surfer girl! She has already paddled six or seven times with me. Wanted to send a long overdue note and say thanks for all the assistance this summer. Between Paddle for the Polar Bears and the chance to demo lots of boards I feel like a got a great introduction to SUP. You guys were very helpful and patient as I found my way. I ended up getting a great deal on a Surftech demo board from your shop. Great fun. Thanks for the great guidance on SUP's. The Bark is perfect for this bay. C'mon down to Texas sometime. The board, paddle, and all the other gear has been fantastic. Have been in Lake Michigan several times a week including some good wave days. I recently bought a Starboard Blend and Element - both boards are awesome and your customer service was outstanding - Thank you! She arrived yesterday in perfect shape. (Starboard Drive 10'5" x 30) I can't wait to get her out in the ocean this weekend. Thanks for all your help. Just wanted to let you know that we are loving our boards. Comfortably won the GH race on Friday evening (on the Surftech Bark 12'6" Competitor) and then entered the 13 mile Round the Rock race in Seattle with almost 200 competitors. I won my class for my age group in the open division. 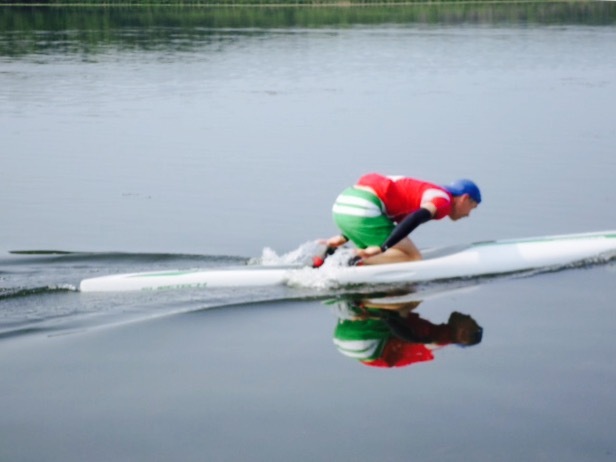 I put your tips regarding wind and downwind paddling to good use this morning--thanks again—what a workout! Thank you, thank you, thank you. I really appreciate the time you spent with me on the phone going through board and paddle specifications and designs. We love our Amundsons. They are the perfect mix of kid friendly, durable, and good for adults that I was looking for. I will recommend to anyone that asks that they work with your team for their board needs. Thank you again and happy paddling. 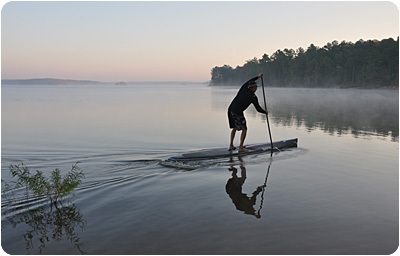 I recently purchased an SUP board from you and was lucky enough to work with Jon Massmann. Throughout the process his expertise, responsiveness and stellar customer service were much appreciated. I will highly recommend Jon and Paddleboard Specialists to other people who may be looking for a stand up paddleboard. Another thing to note is that Jon and the team are far more knowledgeable than the other main SUP vendors, and provide a higher level of service. They also offer only top quality products, and are able to package these in a way that gets a stand up paddler of any experience grade all they need. 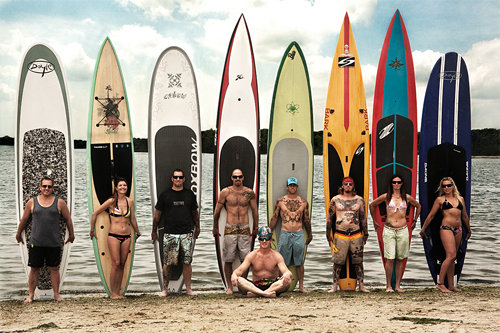 Once again, hats off to Jon and the rest of the Paddleboard Specialists team. Wanted to let you know that the paddleboard is great, your instructions were perfect and we all managed to use the board with great success. The length was a little intimidating so I'm really glad we went for the lightest one. Love the paddle! Thanks again for the guidance. I wanted to pass along how impressed I have been with your customer service so far. I love my board. Really loving the sport so thanks again for your help. I have passed along your name and company to 3 other couples interested in getting new boards. 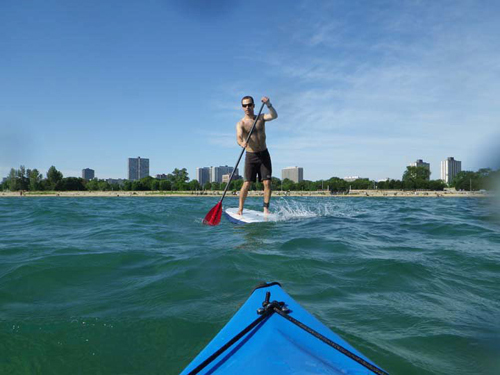 Here is a photo of the Naish Glide and Quickblade that you sold to us, being put through its paces. Lily is 5 years old. Just wanted to let you know that I have had my "new" paddleboard on the water every night since I picked it up on Tuesday, and I have been having a great time with it! It is the perfect post-work stress reliever, and will lure me outside even on the hottest of summer days. Exactly what I've been looking for. Thanks for all your help and advice! I'm down 20 lbs. and still losing chubby fat! Thanks tons for the board! My board (Hovie Nomad) came last Thursday and FINALLY got to christen it on Saturday afternoon. I LOVE IT! Plus it was awesome being out on the bay, on my SUP watching the sunset. Went out in the ocean, by myself, on Sunday. Eventually had to come in......I'll be in touch, because NOW I want a board to SUP Surf. The board is great! My Dad is now Paddle boarding and Kayaking everyday, which is not too bad for a 62 year old guy. He couldn't be any happier and the same goes for me. We really appreciate everything you have done for us. Your service is impeccable! Thanks for pushing to get this for me Gary! This will make racing fun!! I recently bought a QB Kanaha FG 2 piece adjustable paddle from you and am enjoying it very much. It works very well for me. Your blog comment about the slight play where the shafts join was accurate as well. I'm not thrilled with that but in actual use, you soon forget about it. It's refreshing to hear a retailer provide honest comments about their products even when they're not always complimentary. Builds more trust in the long run. Your willingness to share your expertise without any sort of expectations really makes it a pleasure to work with you. It is one of the reasons why you have been and will continue to be successful. I wanted to say thanks again for putting together the demo events to try out some of the equipment you sell at your shop. Thanks again for all your help and the private lesson! Happy paddling. Thanks so much for all your help....I will always recommend your company and you! I appreciate all the help you've provided on buying the board. You and your company have been top notch to work with. Received the board (Hobie 14'Carbon Race custom) a day early with no issues. Board is beautiful – haven’t weighed it but it has to be 6 or 7 pounds lighter than the Oxbow. It really moves – almost like a different sport from a responsiveness standpoint. Slices upwind in chop beautifully - stiff as can be –definitely taking my appreciation for the sport to a higher level. It will be perfect for the flat-water conditions I have here as well as non-surfing applications at the shore. Thanks again for all of your help. It is definitely the right board for what I am looking to do. I wanted to thank you for being so kind. Thank you as well for speaking with my mom yesterday. She thought you were great. On a personal note, you have made this whole process so easy. I love paddling and it has given me peace when I am on my board. Finding you and Paddleboard specialists and the great deal on shipping has made me able to get the Bark board. Thank you again, truly kind people are harder to come by these days. As a 25 year surfer, I tortured you with dozens of mundane questions. You posess great knowledge and supreme patience. A true waterman! You and Gary have been very helpful. You guys run a nice laid back and informative shop and I really like how you don't "big time" beginners like me who don't know anything about the sport and ask lots of questions. Very nice change of pace - I think I must have had my fill of uppity fly shop owners over the last 20 years. Good on you guys! Take care and thanks for the info. Just wanted to say thanks for everything you did to make this happen for me. The divine intervention on Tuesday when Patric picked up the Surftech Competitor board was amazing. He left Surftech’s warehouse went directly to Joe Bark's shop and they couldn’t believe he had one since they hadn’t seen one yet. The board is the most stable and fast design I’ve ever been on. Took it out twice on Wed and can’t wait to get it in the race Sat to see how it compares to other boards. We’ve had 2+ feet of snow this week in Tahoe but tomorrow morning they are calling for sunny skies and glassy water but cold temps…The photos will be amazing. I thank you again for all of your time and assistance over the phone and email. I will definitely buy from you again and refer to you when opportunities arise. I really appreciate the info man, thank you for taking the time. I love talking about equipment and paddle boarding! I am also a big customer service guy and I appreciate it when I get it. Thank you. I read your blog all the time...it's awesome. Keep the info coming Like I said, I love talking about equipment, paddling, and surfing. Friday after picking up the starboard freerace we got out to the beach to paddle and I just kept paddling it was so fun. Saturday we practiced the nine mile race course (http://www.gcsupc.com/) which goes through 2 rough passes (I have friends that don't even like to go through John's Pass in their boat) and did not have any problems manuvering the freerace; the freerace felt just as stable as my 12-1 Laird but rode through waves better. I really thought the starboard was going to take a lot of time getting us to but I feel totally comfortable on it already. 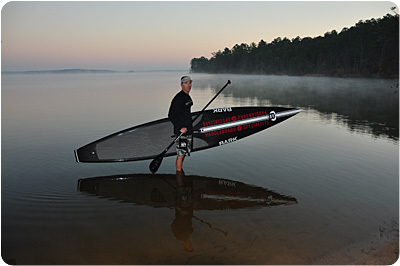 Gary - board and paddle are working out great, everything arrived in good shape and I have been out a ton. I received the 3pc Werner Nitro SUP paddle and it fits in the bag! I've not been able to use the paddle yet but I'm looking forward to it. I stood it up next to my Kialoa Nalu and QB Kanaha; the Nitro is a very nice addition to my stash as it's a little different besides its best feature--being portable! Mahalo nui loa e Gary. I see what you mean about the taller point of view looking at water critters. Last outing 3 baby beavers let me get real close then gave me a 3 tail splash salute. The Eagles are taking me for adventures 1 tree at a time. I follow they lead. Cowabunga! Briar and I went for a cruise around the Harbor last evening. The smile never left her face. She is STOKED! Thanks again. Thanks!!! The boards are gorgeous!!!!! I love that Large sized board...thats my speed, LOL! And the wooden paddle is so beautiful. Its too pretty to share!!!!!! Christmas came early in Newport yesterday... Photos attached! Thanks again! OK, I will go with the QB Kahana fixed paddle. Thanks for all of your hard work on our order and all the time spent with us answering questions and figuring out gear. You have been a pleasure to work with on this order. We will tell our friends where we got the merchandise. Thank you for your call. I am very excited about getting the boards! Thank you for all your help. Excellent! Thank you so much for everything. Can't wait to see these boards in person. Thank you very much again. I appreciate how helpful you and your company have always been. Enjoy your day. I sure enjoyed talking with you yesterday. I will tell you, I've learned to be grateful and to trust in others if you find someone who knows their stuff, and I was very comfortable with you and would be happy to have you advise me - and then get a board and use it! Your customer service and follow up has been great! I received the leash on Tuesday and used it for the first time today; it's great. No more dragging debris on my leash! Thank you! Thanks too for your quick, excellent and personal service. Thanks again for your guidance and professionalism. Talk soon. Thanks so much. I thought super customer service like this wasn't supposed happen on the net. You guys are great!! Keep up the great work. I like the looks and the story of the Comfort. (Sawyer Comfort paddle) Give me a heads up upon shipmentt. Thanks again Gary for the personal touch. That goes a long way in this day and age. Thanks for the special attention, don't worry, "consider it sold". Thanks for the info on the Starboard Camo! Sounds like this one will be the right board for me! Again, thanks for your excellent service. Thanks for your recommendations. You have always been a great help to me in the past with purchases. I purchased a couple of paddles from you a couple of years ago, so I am set with paddles. I will need a leash though (to go with the board purchase). You guys have changed my life, believe me, for the better. I didn't realize how much I disliked golf before the "board." You guys did me a great service by putting me into your SUP gear. I love Florida again. I received my RRD 11' SUP last Tuesday. It was the best packing job I have ever seen and the Board got to Fort Lauderdale without a scratch. I paddled it on Tuesday night in the canals behind my house. It paddles as well as any SUP I have tried. Hey thanks for the excellent service. The boards arrived safe and fast. 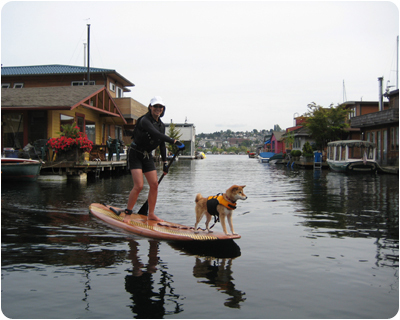 I wanted to send you a few pictures of Heidi and I enjoying our new SUP'er board! It works very well, and we appreciate your help in finding us this one. I've never tried long-board sailing in light winds, but I have to say it's a lot of fun! Hope to do some more before the ice moves in! Thanks again, and we'll see you soon! Thanks again for your time and excellent service over the years! I just want to let you know that my board arrived today in pristine condition. Thanks for a pleasant acquisition experience from start to finish. That is way cool, thank you so much. you guys get my kudos and ongoing business. I don't know how did you pull this trick? Fast,impressive and perfect timing. Right stuff, weekend saved. I've got what I needed! Thanks for devoting so much time and trouble to this trivial problem. I received the board and everything is perfect. Thanks. Once again, your service is second to none! Thank you again for the most amazing customer service ever! Thank you for your excellent customer service over the years. We really enjoy working with you guys! Suggestions and information from all of your staff members have been consistently honest and helpful, and we never feel pressured to buy items we don't need. Thanks again. Just wanted let you know that my Hobie SUP package and Epic SUP bag arrived yesterday afternoon. All items ordered were received intact. Big THANK YOU to you folks for everything: consultation on board selection and gear picks, very good packaging for shipping and friendly service. Maiden voyage today on the Potomac River in Washington, DC. Thanks again for your help and great customer service. Have a relaxing summer! I’m writing to you today to bring an outstanding member of your staff to your attention. 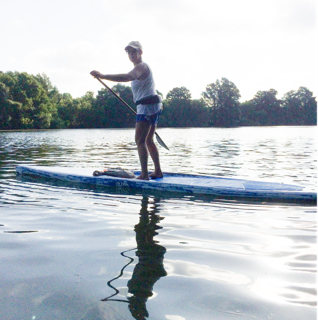 Jon Massmann has consistently demonstrated an outstanding knowledge of product and in particular, provided a thorough understanding of Stand Up Paddleboarding to myself and my family. As a result, we are again, happy, educated and satisfied customers and intend on being customers for life. We commend you Mr. Stone for hiring such a top-notch professional as Jon to take care of us and our most important recreational needs…..SUP! Thanks for being easy to deal with. You are very responsive and accommodating. I will order from you again. Good customer service is readily forgotten about these days with online ordering. All my gear came today. The driver was very courteous and actually helped me to unpack the stuff. Thanks for your help and I can't wait to get this stuff in the water!!!! Thank you so much for spending all this time with me on the phone and e-mail. I greatly appreciate it! Just wanted to follow up my recent order with a heavy THANK YOU!!! absolutely amazing--- I ordered my board on Friday at noon and wow MONDAY, 8 a.m. the freight co. called. despite the holiday wkend, I had my board monday afternoon! absolutely awesome service. The board was in perfect shape, and the DB Schenker guys even forwarded it to the nearby warehouse. They were totally pro, the guy even wanted to help load it in the car. Anyhow, just wanted to say thanks alot for all of your professionalism!!! I just wanted to say thanks for all of your help and your patience in answering my questions over the phone. My Starboard SUP arrived safely and I have had it out a few times already. I'll definitely be back to order another board for my wife soon. excellent delivery and packing, highly recommended. Thank you so much for helping Jack select the right "stuff" He just called and man is he fired up........all his new equipment came today. You guys are the best! He kept telling me how much time you spent with him deciding the right choices and how nice and understanding and passionate you were. Thanks for your help in shipping my board this week. The parcel arrived on time and in perfect condition from the carrier. Just wanted to say that the Naish has been GREAT! Super fun, a little mellow and there are a few SUPs here in Minneapolis - I saw 6 on Calhoun 2 Sats ago. Plus, I screwed-on a sail, give my wife a windsurf lesson and she sailed across the lake and back by herself for her first time ever on a windsurfer! I tried it myself and it was a blast! Got it. Perfect condition. That was seriously fast shipping. Thanks! I really appreciate all the assistance and advise you have both given me through the entire process. You really do a great job in "Customer Care" and that should ensure your continued success in today's market. You will have my continued support. Congratulations! You are such a joy to do business with. You can be assured of my continued patronage. 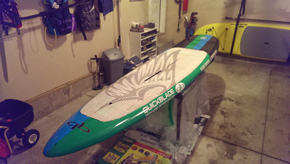 I have a 12’6 SUP from Starboard. I love it. I have been cruising Lac Bay enjoying the zen like experience being on a SUP. I pass turtles and barracudas and am one with nature. The board is very stable and efficient. Elvis took my board into the waves with a sail and loved it. 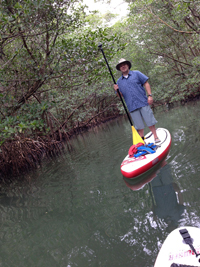 Roger and I took our SUP’s to Red Slave and had a great small wave sesh. Thanks again for all your help. Your shops customer service truly stands above the rest. Have a great season and I hope to stop in sooner than later. The boards arrived yesterday in perfect condition (of course) thanks to your impeccable packaging. Living so far away from a city, I receive mail and internet orders weekly, yet very few are as consistently well packaged, on time, and accurately filled as those from your company. Wanted to let you know that I have been a really happy customer. Prices are fair, great selection, packaging is bomb proof (new RRD was bubble wrapped, boxed then put into a second box!!!) and customer service has been excellent. Jon has great product knowledge and all of his recommendations have been right on. Great turn around service for a $16 part shipped. Now that's the best customer service I had in two years dealing with anything! The booties and lifejacket arrived yesterday. Everything fits. Thanks for your help over the phone and the quick shipment. Hope to stop by next summer when we are in Wisconsin. Thank you for all the help. I picked up the shipment last Thursday night all in excellent condition.